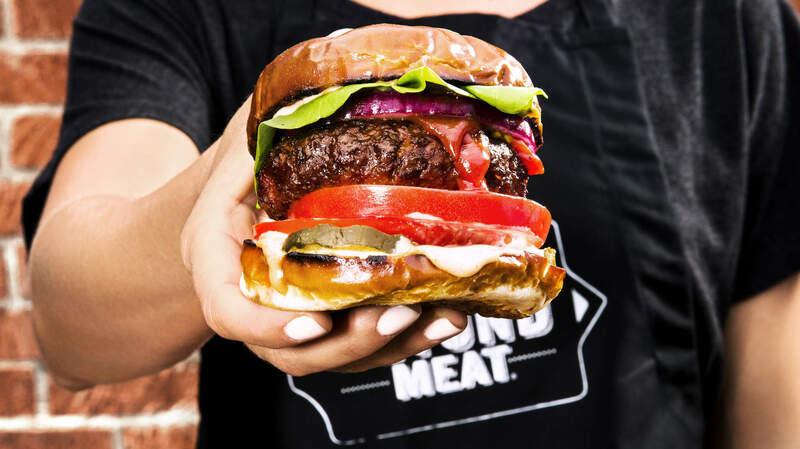 The UK launch of the much-hyped Beyond Burger has been delayed until further notice as short supplies left the brand unable to meet demand. Beyond Meat’s meat-free patties, which have been dubbed the ‘next generation of meat alternatives’ had been scheduled to roll out in 350 Tesco stores at the beginning of August. However, sadly the launch date has now been pushed back, with no new launch date having been confirmed by the company. Last month the company opened up a brand new factory dedicated solely to producing the Beyond Burger in a bid to take the brand to a global audience, a move which more than tripled its manufacturing area and created over 250 new jobs. The burger’s held its soft launch in the UK in early July where it went sale in a single branch of restaurant chain Honest Burgers, as well as Tesco’s Cambridge superstore café. When the product eventually hits UK shores it will go sale across 350 Tesco stores in chilled aisles alongside meat in a bid to expand the vegetarian and vegan market to flexitarians and encourage them to swap animal meat for plant-based alternatives. The product is set to be priced at £5.50 for two-quarter pounder patties.